This article surveys different drip irrigation techniques developed for agricultural fields. Fresh water resources which is deficient, so that consumption of water is very much important. Because of that we use drip irrigation, in that moisture control and time limitation is necessary. Optimal usage of water resources has been provided with greater extent by automation using devices like solar power, drip irrigation, sensors, GSM modem and remote control. This article describes the low cost wireless drip irrigation with the acknowledgement to the end users by GSM modem and real time monitoring of water content in the soil. This mainly based on three sections, Base Station Section, Valve Section and Sensor Section. This is the advance of Precision agriculture, Sprinkler irrigation and Centre Pivot irrigation. This paper works with three conditions, First one is Moisture Monitoring and the next is Water Level of the plants, the final one is Time Limit. All the moisture values, water level is controlled by PIC microcontroller, this is interfaced with the GSM modem which send the message to the end users. This system is also controlled by web based technologies which also be possible. This method provides efficient management of water in the agriculture field. Nivetha T, P Gomathi. "More Crops per Drop in Agriculture Using Embedded System." 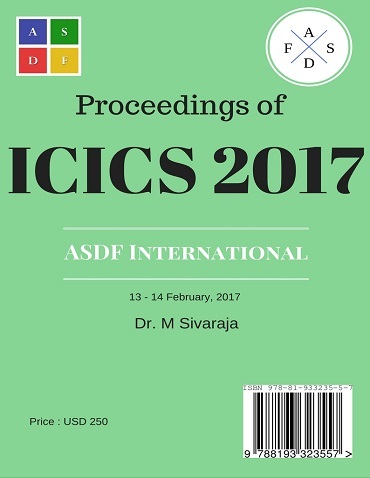 International Conference on Intelligent Computing and Systems (2017): 29. Print.